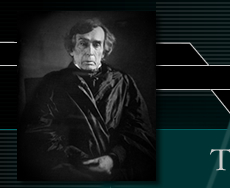 Taney was born of a wealthy slave-owning family of tobacco farmers. He was admitted to the bar in 1799 and as a Federalist served (17991800) one term in the Maryland house of delegates. He temporarily broke with the Federalist leadership over the partys opposition to the War of 1812, but he gained control of the Federalists in Maryland and in 1816 was elected to a five-year term in the state senate. Having built up a large practice, he moved (1823) from Frederick to Baltimore. In 1824 he permanently abandoned the Federalists to support Andrew Jackson. President Jackson appointed (1831) Taney to the post of Attorney General to assist in the struggle with the Bank of the United States. Taney wrote much of Jacksons message vetoing (1832) the act that rechartered the bank, and, when Louis McLane and William J. Duane refused to withdraw federal funds from the bank, Taney was appointed (1833) Secretary of the Treasury and effected the withdrawal. The Senate, incensed by Taneys actions as Secretary of the Treasury, refused in 1835 to ratify his nomination as an Associate Justice of the Supreme Court, but the following year, somewhat changed in membership, the Senate ratified his appointment as Chief Justice. In the Charles River Bridge Case (1837) Taney declared that a state charter of a private business conferred only privileges expressly granted and that any ambiguity must be decided in favor of the state. His opinion outraged conservatives, who were opposed to any modification of the view that charters issued by states are inviolable, a view established by Taneys predecessor, John Marshall, in the Dartmouth College Case (1819). 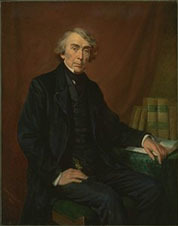 Taney felt that the police power of a state entitled it to make reasonable regulatory laws even if they appeared to override provisions of the U.S. Constitution; thus, he held that, although Congress alone had the power to regulate interstate commerce, a state might exclude a corporation organized elsewhere. In sustaining fugitive slave laws, however, Taney denied to free states the power of refusing obedience to federal statutes requiring the surrender of escaped slaves. Taneys support of the slavery laws was most clearly expressed in the Dred Scott Case (1857). Here he held that slaves (and even the free descendants of slaves) were not citizens and might not sue in the federal courts, and that Congress could not forbid slavery in the territories of the United States. Opposition to the second holding was furiously expressed by the Republicans, and when Lincoln became President he considered Taney an arch foe. In the Civil War, Taney in vain ruled against Lincolns suspension of the writ of habeas corpus (see Merryman, ex parte). There was much antipathy to Taney at his death, but there has been a gradual increase in appreciation of his contributions to constitutional law. Taken From: The Columbia Encyclopedia, Sixth Edition. 2001.